Nowadays, the free software movement and the diversity of open source tools encourage designers, artists and developers to question the nature of the tool they are using and its place in their creative process. They are invited to learn, modify and create their own tools. Creating tools forms an integral part in the work of a graphic designer. The tool shapes the work. Can we imagine new kind of publishing tools that change the way we present our works, create printed matter and more? 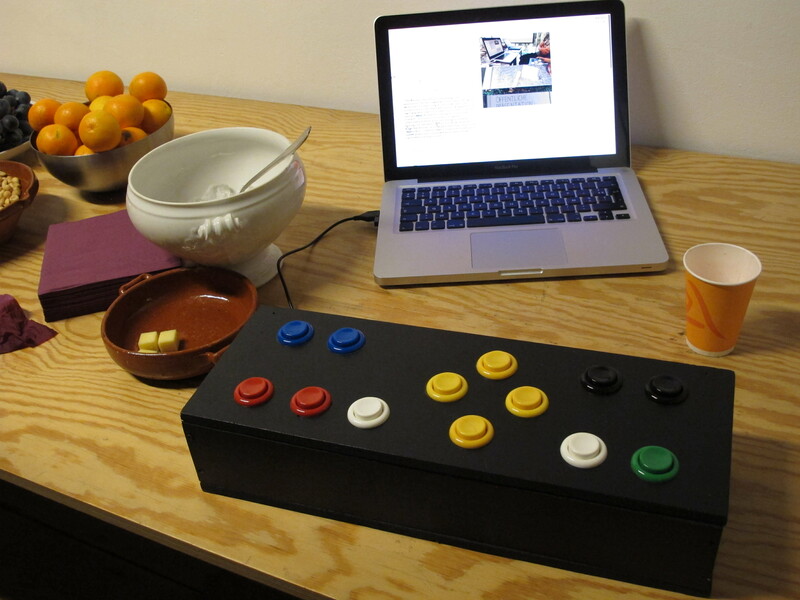 Sarah Garcin tries to answer this question, by creating the PJ Machine (Publishing Jockey Machine), a box with arcade buttons to control web interface for live publishing. The Machine allows to create layout design with text and images, and generate a pdf to print. In the same way, the participants were invited to imagine and prototype new and open source publishing tool. The tools created there offered new kinds of interactions and revolutionized the publication process.